Some of you might find it a bit weird but a milk jug can be used to prepare a great lunch box. The size and safety features of milk jug make it a great choice. You can easily carry your sandwiches in it and prevent them from getting squished. 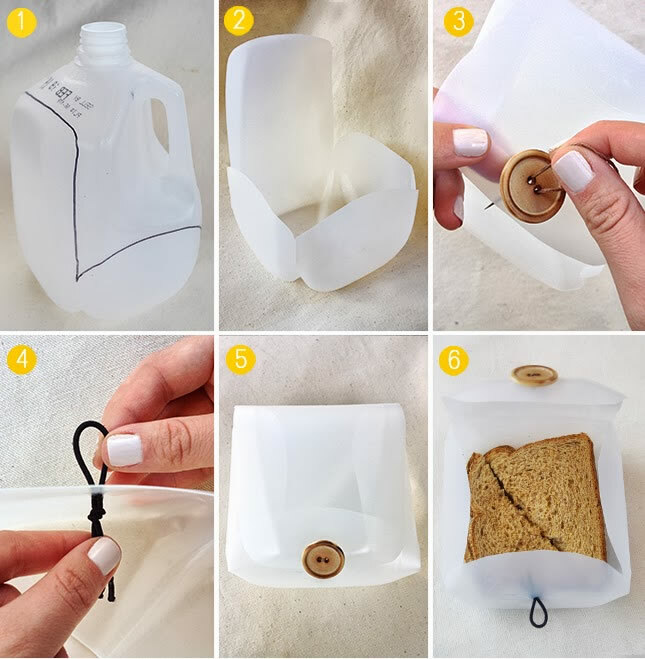 The cost of making a DIY lunchbox from a milk jug would be around $1 and therefore it is quite a cost-effective crafts project. So, now you have got a good reason to finish your milk and follow the given method. The decorative cover is optional. You can use a scrapbook paper, Mod Podge, Brush to decorate the flap of the lunch box. Take a used milk jug, rinse it perfectly, and remove the brand label. Suppose some residue remains, try to rub it with hot water and then remove it with a dish sponge. In order to create a flap lid, pick up your market and draw 4 half circles over every side of the milk jug. You need to keep one side as tall as it can be because it will work as the lid. Use the scissor to cut along the lines and remove the remaining piece. Now you have four flaps and you need to bend down all of them in order to offer the shape of a container. It might be possible that flaps might not fold, so you can create longer slits on every corner of the milk jug. This DIY milk jug lunch box will be equipped with loop closure, so you need to sew a button on the top lid. You have to pierce a hole right below the button base. You can use a scissor to finish this job and use a rubber band to hold the flap in place. In order to personalize this lunch box and make it look more attractive you can glue scrapbook paper by using Mod Podge. 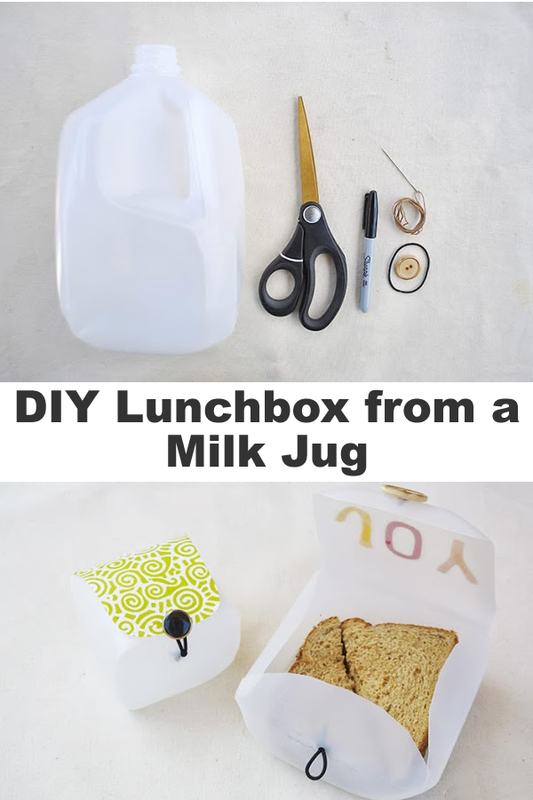 That’s how you can prepare the DIY Lunchbox from a Milk Jug.